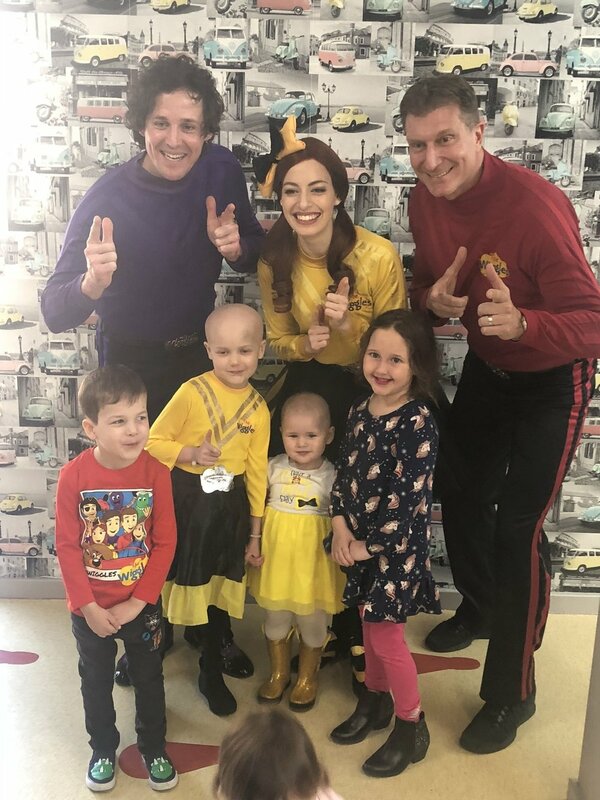 The Wiggles took time out of their busy schedules today to visit Ronald McDonald House Newcastle and meet their bravest fan, 2 year old oncology patient Chloe Coss. 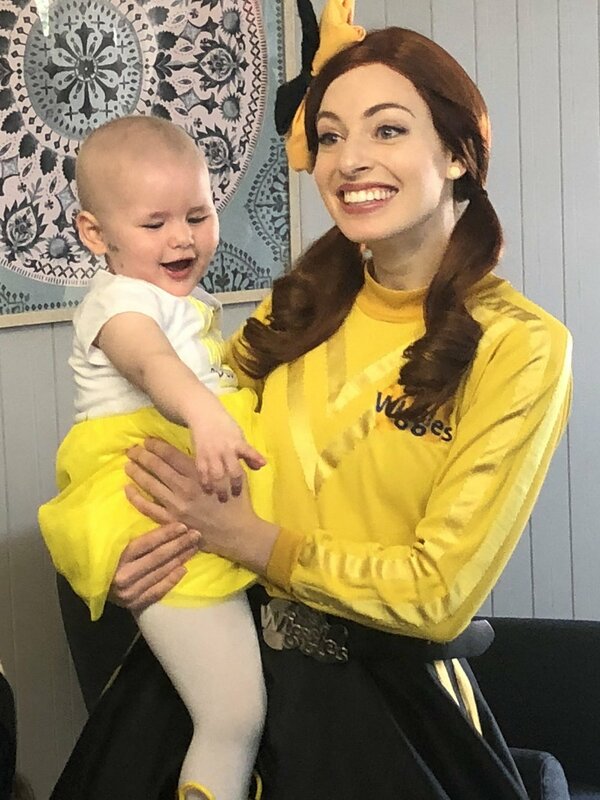 After the initial surprise of meeting Yellow Wiggle Emma Watkins in person, Chloe danced and sang along to all of the classics including Hot Potato, Twinkle Twinkle Little Star and even the Alphabet song with sign language. 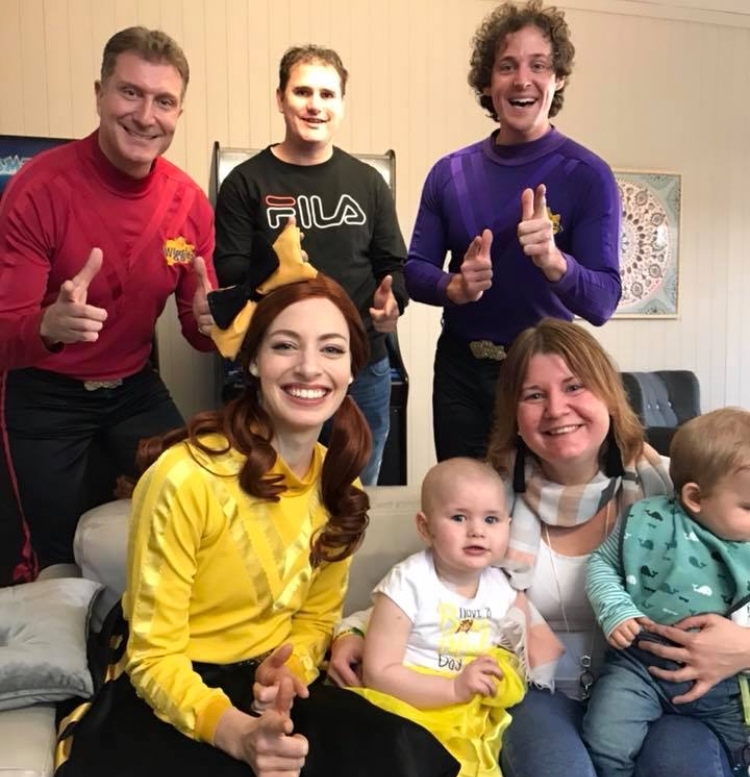 “We hope our visit today helps a little bit,” said Purple Wiggle Lachlan Gillespie. Chloe and her family have been living at the House since March, when Chloe was diagnosed with a rare, aggressive form of cancer called Rhabdoid Tumour, and began receiving treatment at Hospital. Chloe has undergone major surgery and after initial chemotherapy treatment failed, she is now part of a clinical trial. Ronald McDonald House Newcastle provides long term accommodation and support for families from across Northern NSW who have a child receiving cancer treatment in Newcastle.